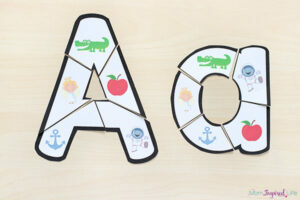 While using these alphabet play dough mats, kids will learn letters, letter sounds, develop fine motor skills and more. All in a fun, hands-on way! 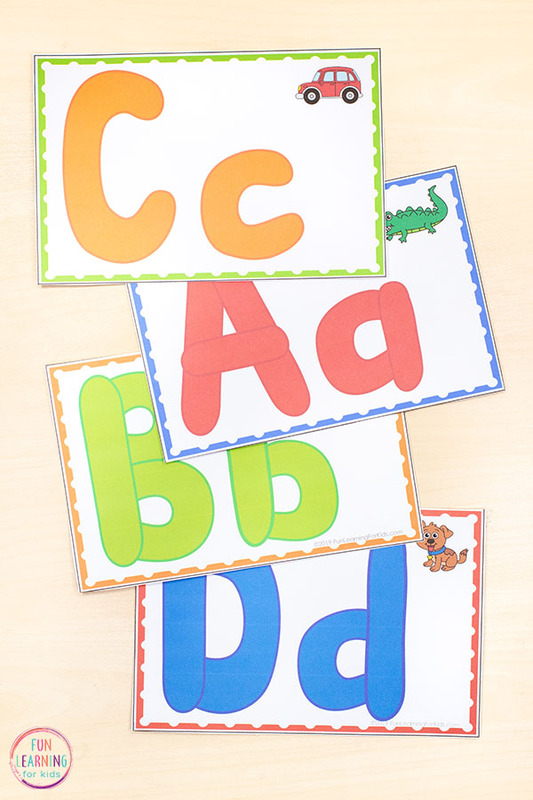 The mats come in both color AND black and white, so if you can’t print in color or would rather print on colored cardstock, these are perfect for you. All you need to do is print the mats, cut them apart and laminate them. If you want to make it even more easy, just print them out and stick each sheet in write and wipe pockets. This is my favorite time-saving hack! 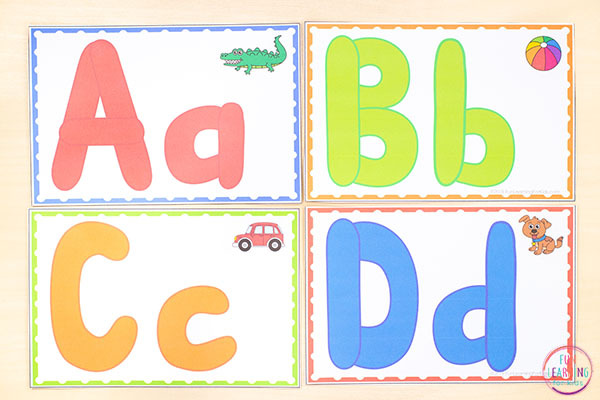 We love using play dough mats for teaching letters because not only are young children exposed to letters in a fun way, but they are also using their hands and engaging their senses while doing so. 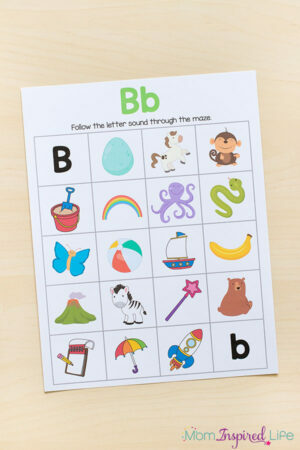 These means they are more likely to remember the letters in the future. Not only that, but when students roll and form play dough, they are developing important fine motor skills that will help them learn to write in the future. 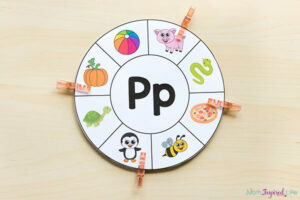 When students form the letters with play dough, they are also learning about letter formation. 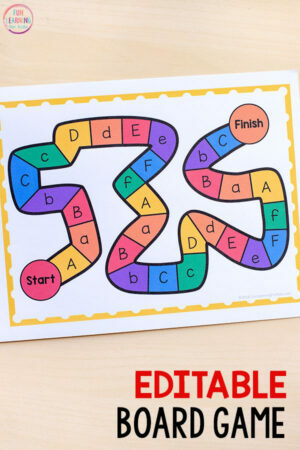 This experience will be a real benefit to them when they begin learning to write letters. 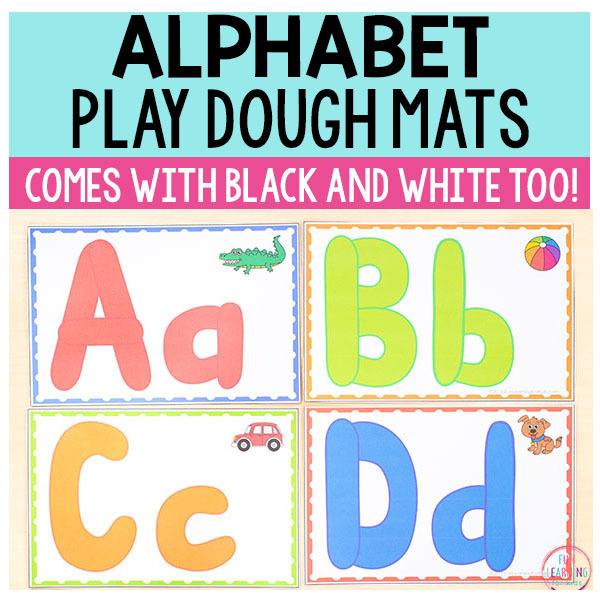 So, as you can see, something as simple as playing with play dough and alphabet mats can be a huge benefit.